We love our time in Ellicottville at our 'trailer'. We are a family of 6 who ski, snowboard, snowshoe and chill out at our home away from home. We all feel relaxed and connected when we are in Ellicottville at 9A. We hope you find our place as spacious, comfortable and functional as we do. 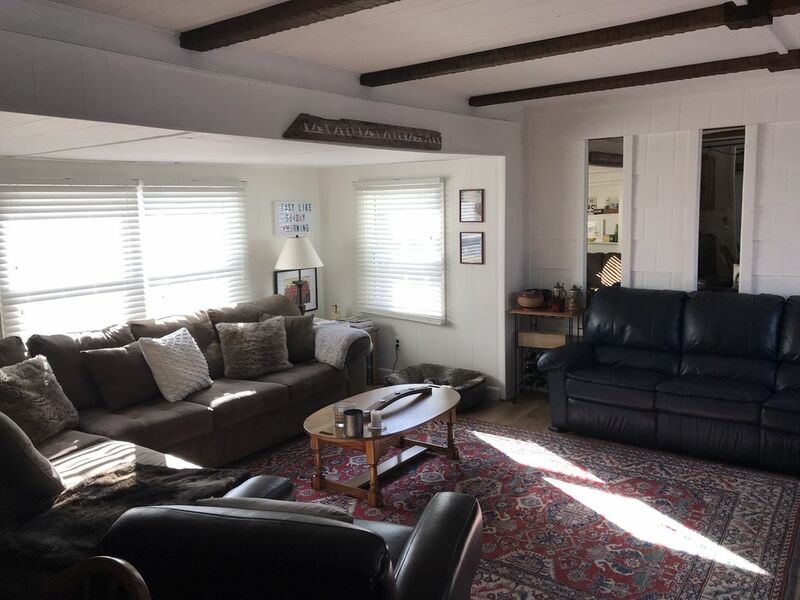 Great amount of space with two living areas (one for adults and one for kids) if needed, all the conveniences, lots of privacy, a great kitchen and a wood burning fireplace. You can walk to town or take a 5 minute drive to the slopes. There is also antiquing in Salamanca or mountain biking and golf.